Lola & Leone, a new fragrance by Olga Litvinenko, had its formal debut at a black-tie gala in Grand Central Station years after its inception in the South of France. Lola came across the fragrance as she was primping for the event and uncovered the secret that had been hiding in the bottle. She wore the perfume, and various attendees inquired about her essence throughout the evening. It was then that Lola decided to make it available to the rest of the world. 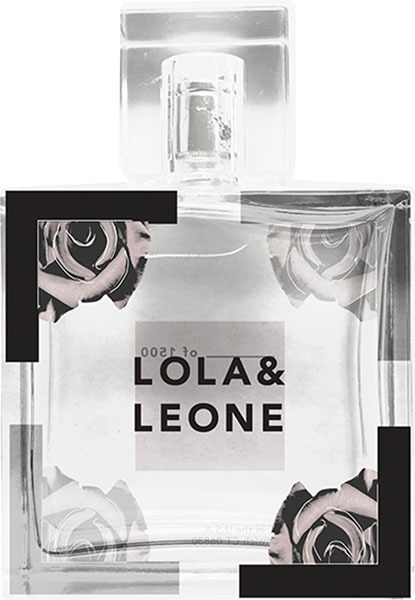 The essence of Lola & Leone is fresh, clean and sophisticated. The hand-signed, limited edition 100ml 3.3 FL OZ. Eau De Parfum includes a refined combination of wood oils, rose, pear, orris, bergamot, star anise and gardenias. It leaves a positive and lasting impression while manifesting a ‘scentsation’ on those who wear it. The company is currently headquartered in Greenwich, CT and is looking forward to a continued global expansion through their website,  lolaleone.com,  and select retail locations. The name has both meaning and purpose: combining the name of a friend who tragically drowned when Lola was twenty-three years old with her own. It was when Lola met the death of Leone that she realized life’s purpose: to love thyself and to leave a legacy of creativity, passion, and sincerity while making a difference . . . one scent at a time. Lola & Leone will be donating a portion of profits to select charitable organizations.